To say that SuperStroke has a significant amount of momentum right now might be an understatement. We are constantly seeing the easily recognizable grips on television week to week with some of the hottest players in golf electing to make the move to them. SuperStroke also continues to evolve their lines, both through shapes and aesthetically with the currently anticipated release of the midnight series. 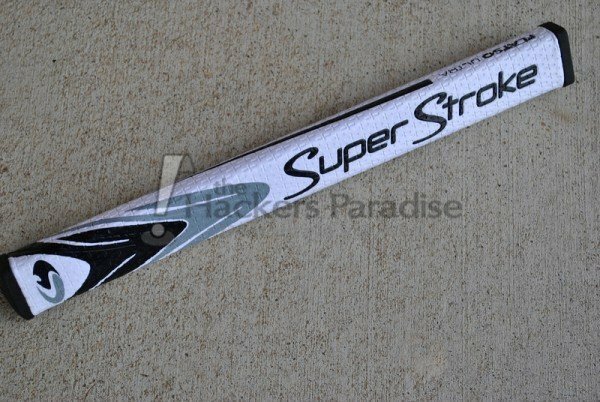 THP was able to spend time with two of SuperStroke’s offerings, the Mid-Slim 2.0, which might be their most popular size and shape, and one of the grips from their new Flatso line, the Ultra 1.1. 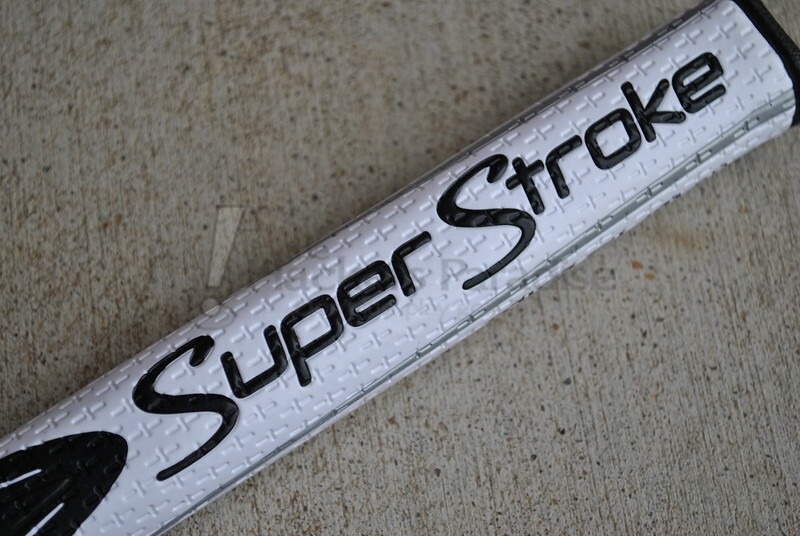 All of SuperStroke’s grips feature what they refer to as “Parallel Technology”. 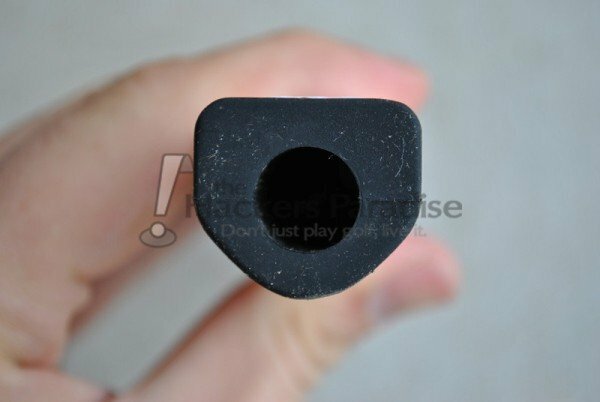 Essentially, the grips have a constant parallel design which is intended to ease hand pressure in the grip by removing the taper of the lower portion. By providing a constant size, each hand can attain a constant pressure that will allow for the stroke to be taken out of the hands/wrists and put back into the “big muscles”. Last year marked a big change for SuperStroke as it pertains to the outer portion of the grip with their move to a new poly-urethane material. Not only did this mean new graphics, but it more importantly allowed the implementation of their “CrossTraction” texture. This layer features indentations throughout the grip, which add a new texture and also provide for more tackiness and allow more “feel”. 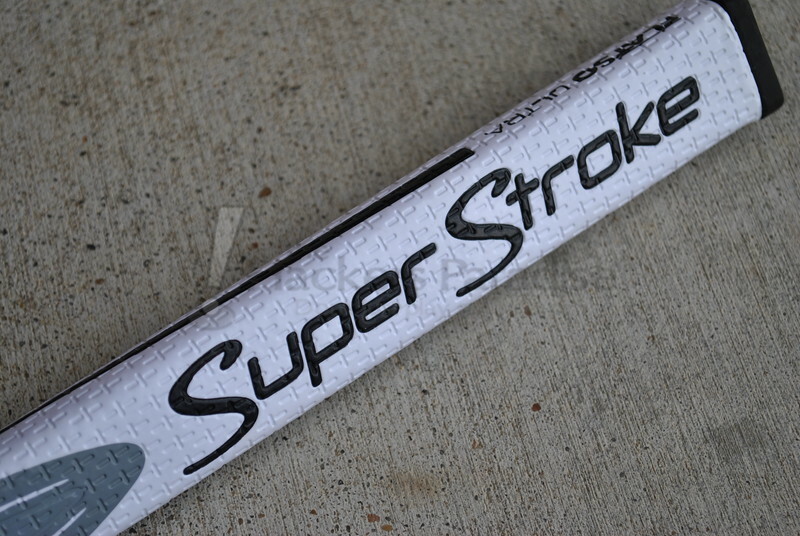 When SuperStroke first came to the market they utilized a different underscore on their grips that called for a more specialized grip installation method, but all sizes (even the largest models) now feature a “traditional” double sided tape install. The Mid-Slim is named aptly when compared to the rest of the standard SuperStroke line. It fits in the middle of the pack as it pertains to its overall width. It is definitely larger than a standard mid-sized grip based on diameter, but not approaching the rather significant size of the 3.0 and 5.0 versions. The size is enough that the user can really understand the basis behind the “Parallel Technology” that the company believes in so much. It is extremely successful in giving the sensation of keeping the grip balanced and light enough to quiet the hands throughout the stroke. The CrossTraction texture combines with the general aesthetic design of the grip to create a more appealing look than previous iterations were. It is modern, streamlined, and very clean. One concern is generally with that much white on the grip it will quickly show dirt, but it actually resists this quite well and even then is easily cleaned via a wet towel. It is also worth noting that the Mid-Slim is lighter than most standard putter grips. Weighing around 50 grams (compared with standard grips usually from the upper 50’s all the way into the 80’s), it is worth keeping in mind when regripping, as it could potentially alter the feel (weight/balance-point) of the head through the stroke for some users. The “Flatso” is the newest addition to the SuperStroke lineup and the name really tells most of the story here. Immediately the difference is evident when compared to the basic models, as rather than a predominantly round shape the Flatso’s entire front section is flat with pronounced edges. It is almost a blend of a traditional pistol style grip and a SuperStroke. The purpose of the shape is to provide an option for golfers who prefer the harder edges on their putter while still wanting the added size and non-tapered shape. SuperStroke states that the pentagon like shape should also increase the shoulder rotation throughout the stroke while still isolating and quieting the wrists. In time spent with the Ultra 1.1 the shape seemed to really lend itself to allowing the grip to have a sensation of easily staying in the fingers rather than settling more into the palm, and the sharp edges allowed for proper thumb placement throughout the stroke. Aesthetically the Flatso grips carry over the same theme as the rest of the line, but the use of silver in the Ultra 1.1 as an accent was a very nice touch. 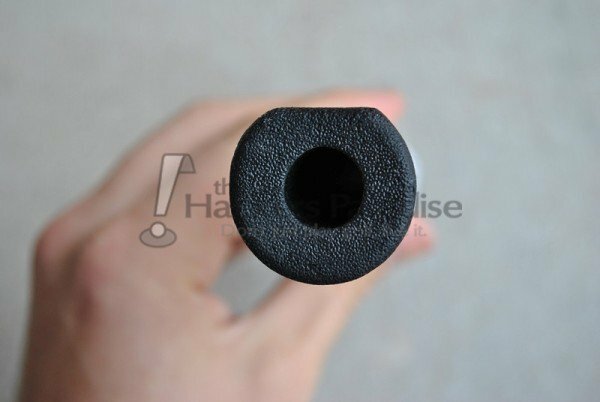 Again, as with any putter grip the weight of the grip is something that gofers should be aware of. The Ultra 1.1 is around 85 grams, a significant jump from the Mid-Slim 2.0. As mentioned previously, some users may not notice the weight at all, but it may alter the feel of the head (weight/balance-point) through the stroke for others. Undoubtedly just like the clubs which they are installed on, putter grips are an incredibly personal thing and we are all different in our preferences. However, it is clear that SuperStroke is intent on not only capitalizing on their momentum from the Tour and amateurs alike, but they also are focused on continuing to expand their lineup in the hopes to offer something that will appeal to everyone. The addition of the Flatso lineup will go a long way to doing just that. Both the basic Super Stroke line and the new Flatso offerings are well designed grips that offer performance along with a look (and color options) that many golfers will undoubtedly enjoy both on the course and in personalization. For more information on all of their lines, check out www.superstrokeusa.com. Thanks for the thoughts on the newer offerings James. I’ve been looking hard at the possibility of putting a Super Stroke on my putter here in July. Great review James! I’ve got to find a putter with the Flatso on it. Price points of these make it a little rough to swap one out just to try. But Super Stroke is flat out killing it right now. It would take a HUGE bit of innovation to get me away from my beloved 2.0. Attempted to get on the SS bandwagon with the last generation and just didn’t find anything I loved, but that Flatso does appeal to me. Great information in here James. I’ve used the SS 2.0 before and loved it, and the flatso sounds very intriguing. 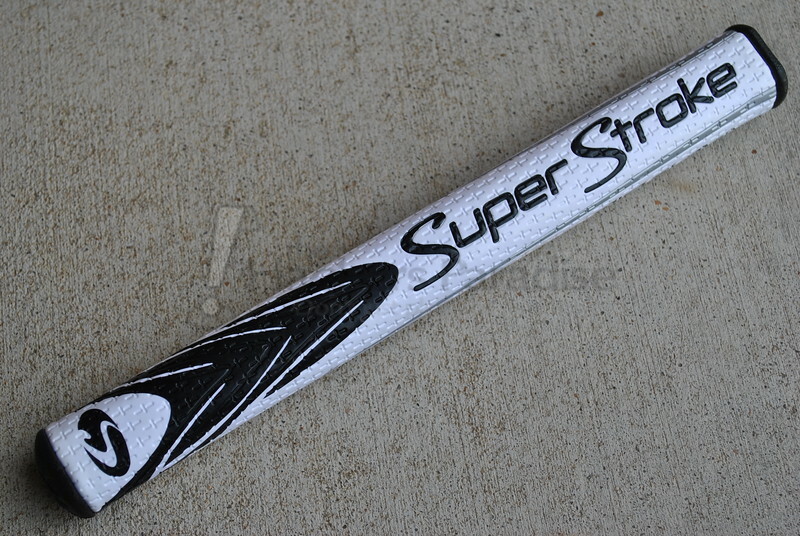 SuperStroke is doing a whole lot right with these grips, and really helping a lot of people score better. Great write up, James. Great work James, the Flatso intrigues me for sure, and the premise behind taking your hands out of the stroke makes a ton of sense and the feel of a larger grip isn’t diminished! Great thoughts James. Super Stroke is heading in the right direction and appear to be putting out quality product after quality product. Think a 2.0 may be going on my putter this year. You should also review then the Pure Grips Big Dog Putter Grip. It is AMAZING! Thanks for the lowdown on these James and bringing the info of why each are designed like they are. Without question these puppies are all over the TV every weekend and more & more people are giving them a go. I’m a 2.0 guy myself but would enjoy rolling that Flatso as well. Good stuff James, tons of information here. I keep looking at these, yet telling myself not to mess with a good thing, but this makes me want to jump on in. Thanks for the review James. Well done sir ! I am a big fan of the SuperStroke Belly 17. It’s on a standard length putter, not a belly. The diameter is perfect for me and there is something I like about seeing the longer grip down the shaft a bit. Sort of like Ernie Els, but not quite as long. I’ve come to really like what Super Stroke is putting out. Thanks for the review James. I’m not a huge fan of the Flatso feel. I foolishly bought it as they didn’t have the standard Superstroke 2.0 or 3.0. If it doesn’t feel right when you hold it before you fit it then it won’t feel right once fitted.